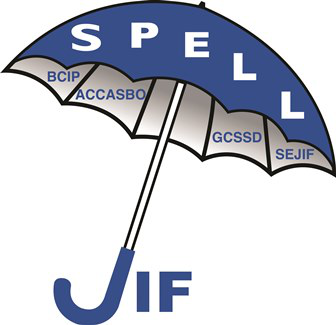 The SPELL JIF continues to explore ways to expand upon our already strong program of outstanding coverage and service to enhance both the service options available to the Fund as a whole and for individual members with specific additional needs. Please note that these coverage are not provided in the SPELL program as they are either not permitted under the regulations governing joint insurance funds (position bonds); or the majority of members do not have the exposure (underground storage tanks); or members do no have the exposure on a continual basis (foreign legal liability). The JIF Administrator’s office has partnered with the Hardenbergh Insurance Group who will provide market access and product knowledge on the below coverages. They can place coverage on an individual member basis, if a member so desires. New Jersey Statutes 18A:17-6 and 18A:17-32 require the District maintain an individual bond for the Secretary to the Board and for the Treasurer to the Board (unless the District has dissolved the position). The Secretary’s bond shall be in the amount no less than $2,000. The Treasurer’s bond amount shall be guided by the schedule of minimum limits promulgated by the State Board. Pursuant to the regulations governing joint insurance funds, these bonds can not be included in the SPELL program. Please complete the Position Bond Application. This application will be emailed directly to Bonnie Ridolfino at Hardenbergh Insurance Group for completion. The application will be submitted to five carriers to ensure the most competitive cost for the District, however for your convenience; you only need to complete the Selective Insurance Company application. From time to time the District may sponsor an overseas trip for educational and/or recreational purposes. We all hope that such an experience will be enjoyable for the participants and occur without incident. However, that is not always the case. An auto accident may occur, a fight may ensue, or a student or chaperone may take ill. In any of these events, the District will be named in a claim as sponsors of the trip.Coverage under this policy provides the protection for the District which is not afforded under the SPELL program. Please complete (insert the document named Foreign Legal Liability application (pages 1 and 2) and email it to bonnier@hig.net. The minimum premium is $2,500 however if the District sponsors such trips annually, there is a discount for a 2 or 3 year policy. New Jersey Administrative Code 7:14B-15.2 requires owners and operations of underground storage tanks maintain financial responsibility assurance in the event a tank causes a pollution incident. Coverage under this policy provides the assurance to comply with the Adminstrative Code at a cost affordable to a District. Coverage will be marketed to multiple carriers to ensure the most competitive cost for the District. Contact Bonnie Ridolfino at 856-489-9100 or bonnier@hig.net for an application. Keep checking back to this page as additional information will be posted!